Morgan – I hope America you see I’m a competitor in this game.. I’m here for the next 2 weeks..
Morgan – I know I was America’s nom and I’m hoping I redeemed myself and got back in your good graces..
Morgan – she thinks I don’t need the money which is false.. I would love to start the business someday.. I might be just a bikini girl but I’m actually quite intelligent..
MOrgan – Bikini Girl for Final 3..
Morgan says she’ll take Kryssie to final 3 if she can. 6:30pm Jason/kryssie found a dead rat..
8pm Justin is laying in bed. In the kitchen – Morgan and Shelby are making dinner. 9:15pm The house guests are in the kitchen eating. 11:20pm – 11:50pm Bedroom – Justin and Jason. After, they sit around the kitchen reminiscing about the season. They head to the bedroom. Jason and Justin continue to talk. Justin – I ain’t trying to compete against you. You two are the ones I’m most loyal to. I pick their brains to see where they’re at but I really don’t give a f**k about them. I really haven’t won anything.. its been my social game that’s kept me in here. Jason – they think you’ve been throwing everything. Justin – I really haven’t thrown anything in here. 12:15am Morgan and Shelby go to sleep. 12:20am Bedroom – Jason, Kryssie and Justin are talking in bed. Jason – best case scenario is we’re able to help the person not on the block get the veto. But if it looks like that is impossible then its every man for himself. Justin – I just want us 3 at the end. Whatever I’m telling them… I’m selling them pipe dreams. Jason – oh I know. 3:30am All the house guests are sleeping..
Ugh those rat hair photos are making me gag, lol. I bet anything that the challenge will be to sing a song or do a pizza dance. Getting annoyed with Justin and the care package should have been played last week. Never thought i would say it but krissie over jason and justin for third place. 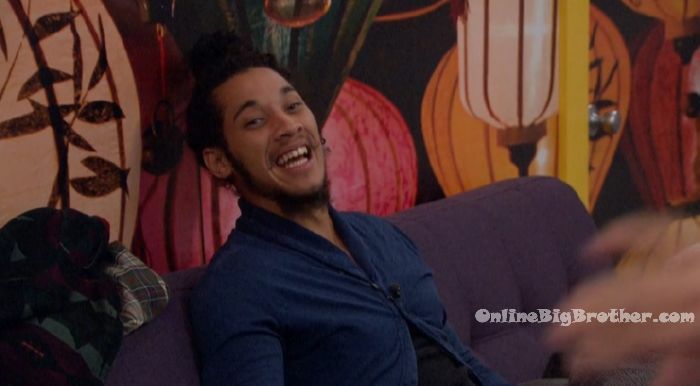 Justin has gotten an easy ride this care package just mAkes it easier for him Cant remember if hes been on the block i dont want him to pull a nicole and win over any of the girls!!! I love Kryssie. Hope she wins! I hope next season there are no more care packages. Ruins the game of people actually playing. HOH is almost useless with this. And no more vets. They lost..go home and stay home. Your scenario is perfect. Fingers crossed! Anything that bounces Jason sounds good to me. And you are what 3? How did you glean anything about me from my comment? except that the winner (of BB which is the topic here) is always the one who deserves it bc they did exactly what was required to become said winner. Logic is now sadly lost on everyone… only emotion is left. I’m sorry you feel bad, but it isn’t fault. Says the biggest billy goats gruff. ????? What the hell are you talking about? I wonder what happened to those extensions. I despise Jason and people like him, I can’t say hate since I’ve never met him but vile, putride, nasty ect… would describe him by his actions and words. He surrounds himself with similar people and is generally a miserable person, only takes real delight in others suffering not his deeds or actions. I really get his hatred for Alex, Morgan and Shelby he knows they don’t need the money, not that they are rich but he knows they will be successful in life that they have ambitions and have a drive to suceed and it’s people like them he hates the worst. He wants it so just for a minute or a month he can be something other than a cellar dwelling Martyr. He takes more pleasure in peoples pain and suffering then anything beneficial to himself, he could try to improve himself but it’s way more effort than blaming others for his choices in life. Jason might win this game but he is losing at life. Great description. You didn’t include in there that Kryssie and Jason are just alike. I’ve never seen a nastier bunch like LNC. All they did this season is be nasty. Pure jealousy. Get out there and make something of your life. Instead of that bitter hatred that engulfs you. Seems like the interest in this season has waned now that all of the interesting houseguests are gone (or are on their way out) and all that remain (or will remain) are the basic and boring folks with no personality. Who wants to watch this paint drying snoozefest??? The nature of the show means the fri-sun are pretty boring except for the care package.. I like that it slows down during the weekends so I can focus on other things. She does look flawless in that Bikini! I think like someone said before it may be better to only have Morgan OR Shelby in the final 3 so the votes don’t get split? I agree Justin has not “earned” the win it seems he has just skated by, has never won anything and has never been a part of any major moves/decisions. I do indeed hope either Morgan or Shelby pull out the win. Shelby has had a target on her back the entire time (much her own fault from what I read) but she has played the game and won when she needed to win. Jason and Kryssie I find both to be disgusting trolls. From that side of the LNJ I would only not vomit if Justin won. 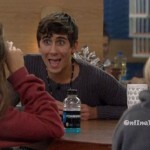 Personally I don’t want to see Justin in the final 3 at all. Yes he is funny sometimes, but a total scatterbrain. Non BB related stuff will keep the OBB team away for the better part of the day. I’ll post if something big happens otherwise we won’t update until later tonight. I think Shelby is the best player left in the game. She can strategize and win comps. 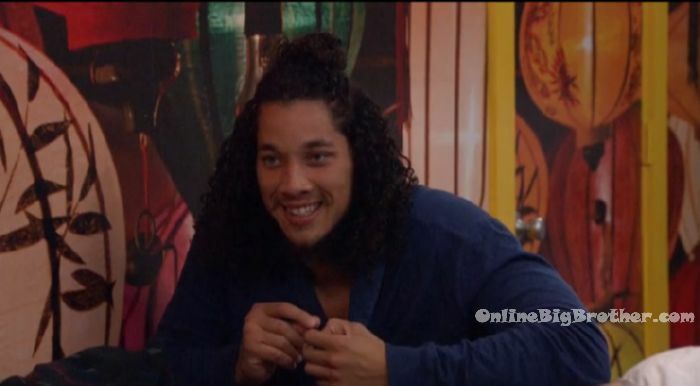 Jason is a close second, he can strategize and has a good social game (even though I do not like him) he has convinced the house to leave him in the game for this long. Morgan seems to have a strategic mind but needs Shelby to finalize ideas. She’s won a couple of comps, and I think she could win more. Kryssie and Justin have done nothing the whole game. Kryssie is the goat everyone wants to drag to the end. Justin is a hard decision. Any other year he wouldn’t stand a chance, but this year he may get a lot of votes just because he’s popular. Is there an America’s favorite player this year? Do we know how next week is going to play out to get the final 3? 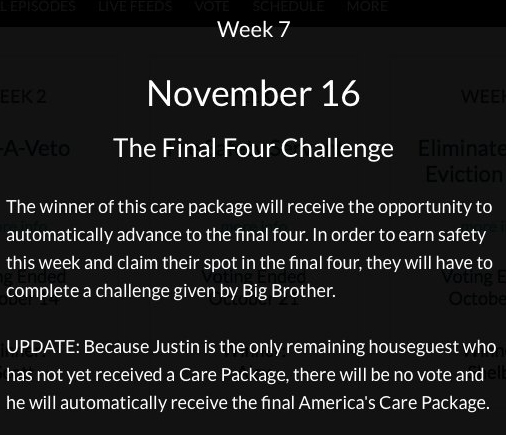 Will it be a HOH and a veto holder like a typical final 4 situation. Which is kind of unfair because the person off the block shouldn’t be able to pick the final 3 finalists, it should be the HOH decision! Or will they do some sort of 3 part final HOH like they do to determine the final 2? I’d prefer to see a 4 competitions, if you win 2/4 then you secure your place in the final 3 and get the final vote to evict. And if needs be there will be a 5th competition if everyone wins 1 or two people win 2 competitions! I’m so sad that Danielle was voted out and evicted. Is there any way we can bring her back>>>>>??? I was glad to see Dani go BUT was happy with her classy exit. She was another one spewing hatred for the girls and lacked the very class she exhibited in the end. I hope they ALL read what WE SAW and realize WE SAW THAT and hopefully regret those behaviors. I agree both sides had their moments but the spitting in the tub, rubbing armpits on pillows and Jason threatening to put the other sides SSN’s on the internet?! I hope he’s voted out this week strictly because of that. IT’S A GAME! Your coverage of bbott has sucked. Sorry u weren’t happy. We never said were covering this season full time. Morgan put Shelby on the block? Hiss!!! Go somewhere else then. I appreciate all your coverage. Thank you!